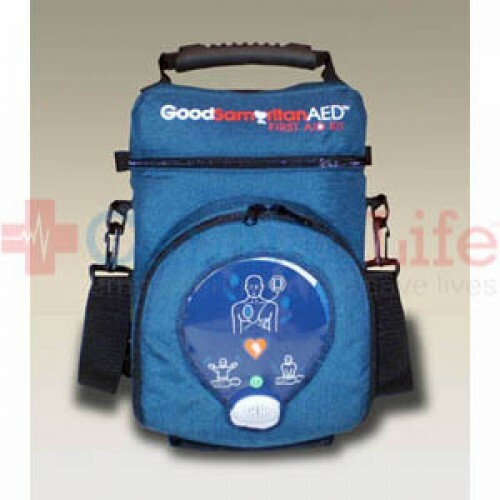 The Good Samaritan AED backpack is for the HeartSine samaritan PAD 350P AED. 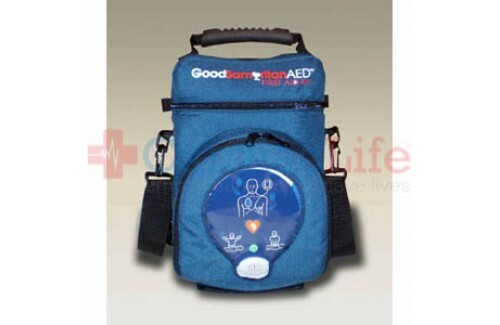 The AED backpack easily stores your HeartSine AED and additional supplies needed. This backpack is perfect for gyms, apartment complexes, fitness clubs, camps, office buildings, travel team clubs, manufacturing facilities, churches, and more. Note that the kit comes empty. When you purchase the HeartSine samaritan PAD 350P First Aid Backpack (Good Samaritan) from Cardiac Life you’ll receive, Free Shipping, and more to help create a successful Public Access Defibrillation program. To be indemnified under the Good Samaritan Law, follow manufacturers guidelines. Use AEDSafetrack Program Management to document that your AED is compliant with local and state laws.